For more and more people, urban farming is certainly not a foreign word anymore. The advantages, such as shorter transport distances and fewer emissions, are well-known. However, the lack of space compared to conventional farming, especially in city states like Singapore or Hong Kong, restricts opportunities for efficient cultivation. Acreages are often too small or not very compact. Researchers from the German Aerospace Center (Deutsches Zentrum für Luft- und Raumfahrt; DLR) together with international partners are offering a breath of fresh air. 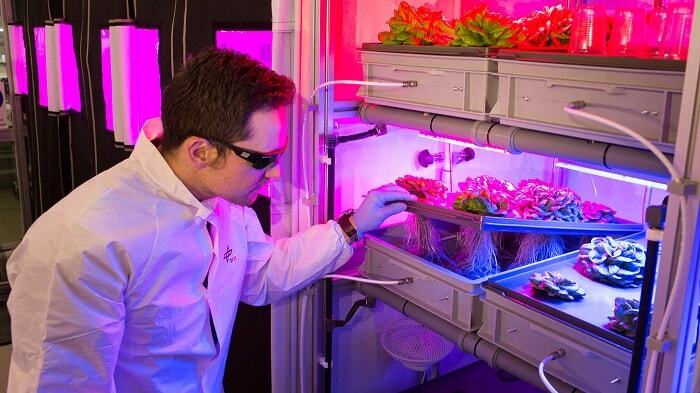 With Vertical Farm 2.0, they create an opportunity which enables multi-level cultivation of plants in large cities. A well organized urban cultivation of lettuce, tomatoes, cucumbers or herbs would be possible all year round. Within the scope of an interdisciplinary study conducted over several days in the Concurrent Engineering Facility (CEF) at DLR Bremen engineers, biologists, technicians and architects progressed satisfactorily. The study was carried out together with the Association for Vertical Farming. The vertical farm with a ground area of 74 by 35 square meters and six-meter high floors is not comparable with common residential buildings or office complexes. It enables a very area efficient use. According to DLR, an annual yield of more than 630,000 kilograms of lettuce or 95,000 kilograms of tomatoes can be obtained per floor. It is possible to organise the cultivation on different shelf levels due to the high storeys. This enables a cultivation area of 5,000 square metres for lettuce or 1700 square meters for the comparably high tomatoes, on each floor. The optimal plant growth can be achieved with LED light and a precisely controlled nutrient solution. 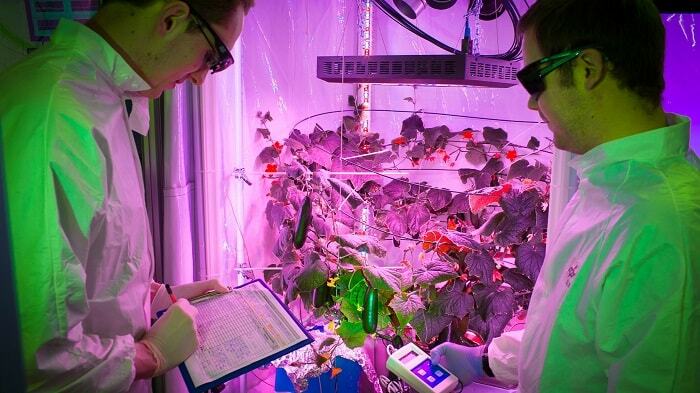 Currently, the DLR scientists investigate perfect growth conditions with their ‘Evolution and Design of Environmentally closed Nutrition sources’ (EDEN) laboratory. 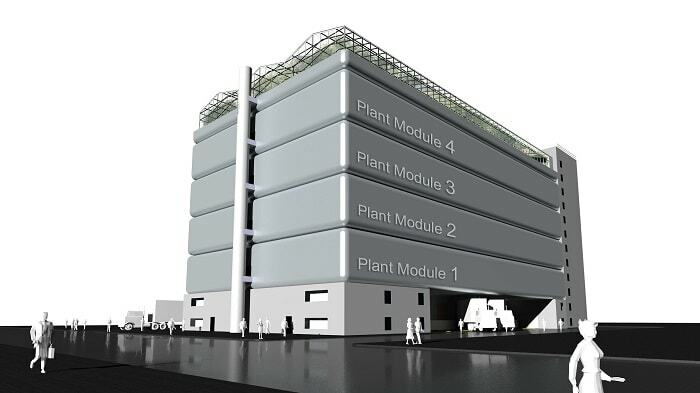 Only the upper four of five floors of the vertical farm are used to cultivate plants. For example, the logistic centre, the cold store and the administration are situated in the ground floor. The centre of the vertical farm houses the elevators and tanks. All nutrients are provided in a liquid form. For this reason, no soil is needed. “We have a clean cycle, sealed from the outside world, and therefore do not need any pesticides or chemical insecticides.” The system will only need a relatively small amount of process water, as it is continually re-used. This kind of self-contained ‘greenhouse’ will also allow the scientists to do their research independently of the weather and the season.